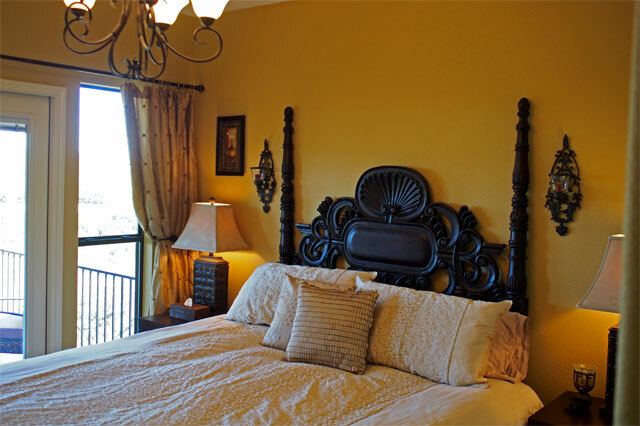 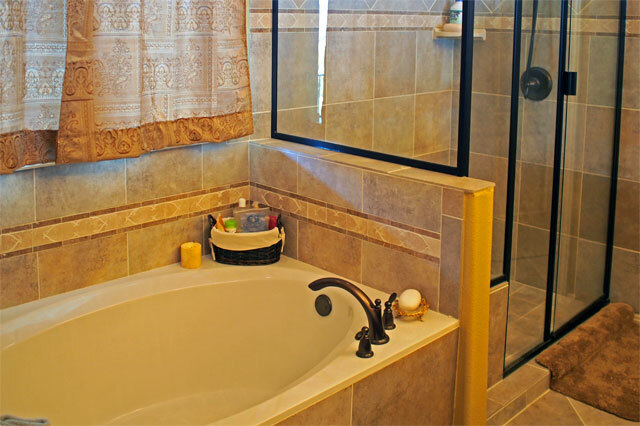 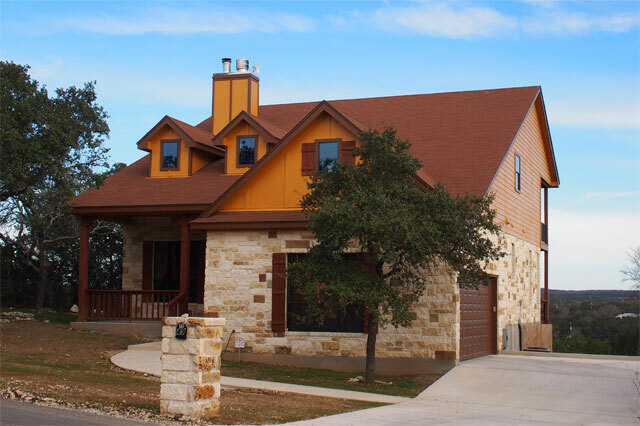 This is a 2,048 sq foot custom design home with three bedrooms, three baths plus dining room and breakfast room. 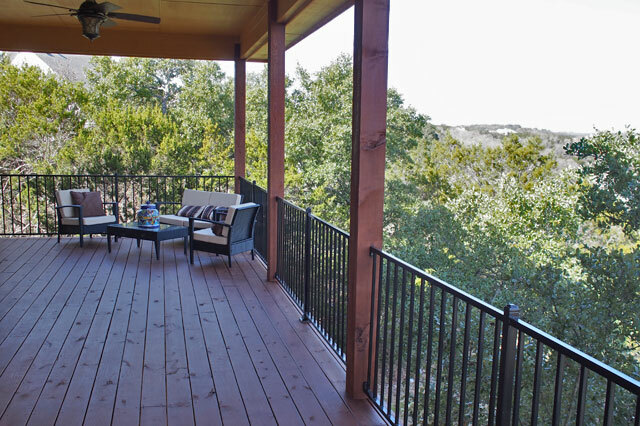 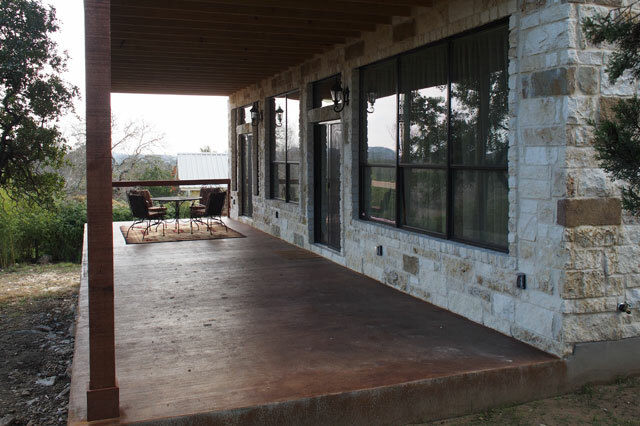 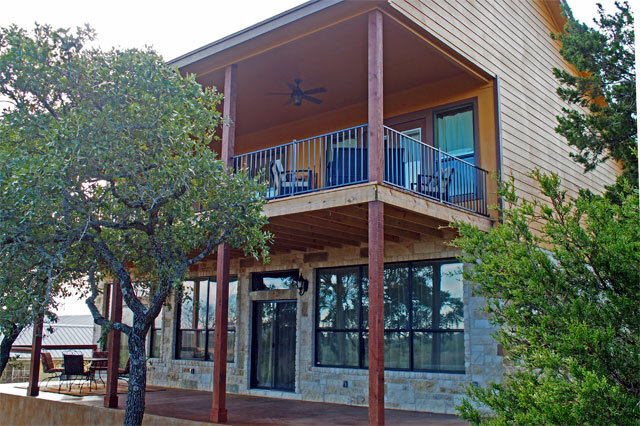 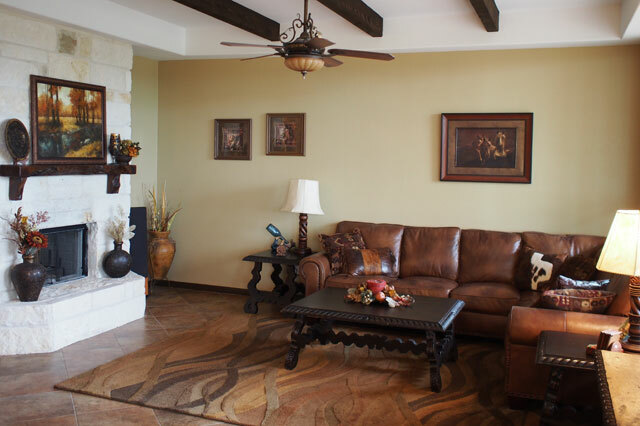 The house was specifically designed with two full length decks to take advantage of spectacular hill country views from the back of the property. 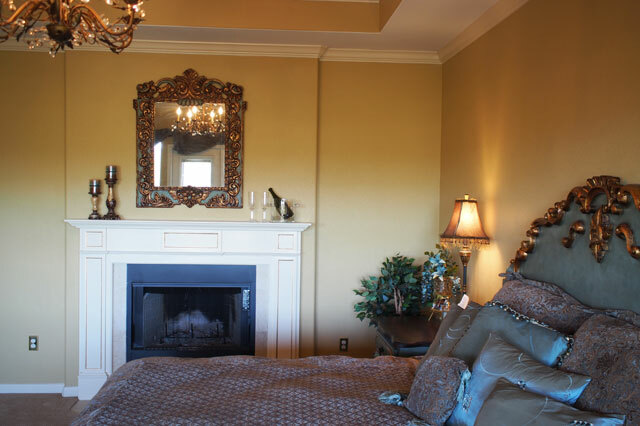 The house was also designed with 3 fireplaces; one for the living area, one for the formal dining and one in the upstairs master bedroom. 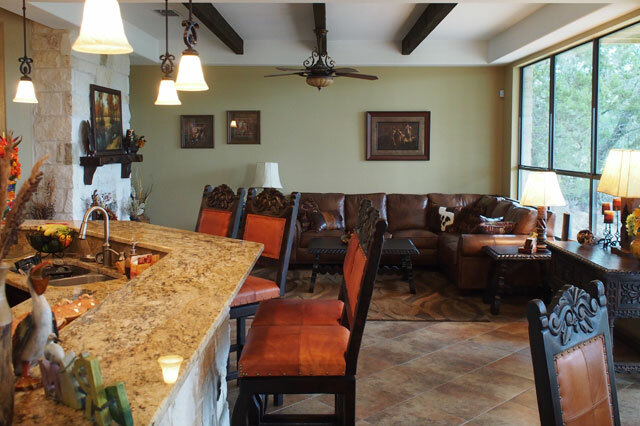 The open floor plan allows smooth connection between dining room and great room. 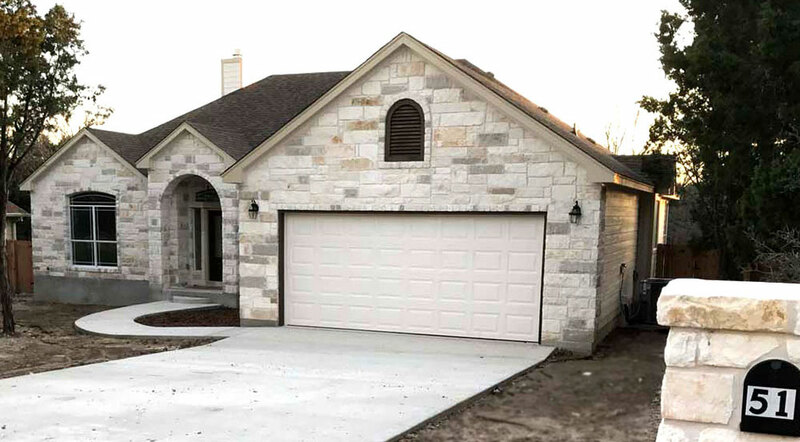 This design has stone on all 4 sides of the the building.